Our colleague Kevin Kolde is a videogame freak. He worked a lot of years to get the animation rights to Konmai’s Castlevania and then, Sony’s Ape Escape. Then, years more to put together our partners Hawaii Film Partners, Showcase Entertainment, and Konnie Kwakwith a great creative team. 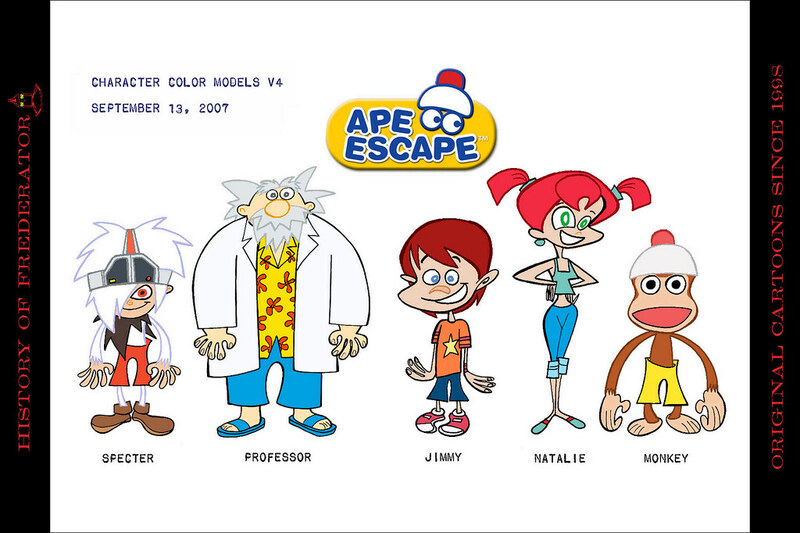 There are 38 two minute Ape Escape Cartoons shorts playing on the Nicktoons Network. More on the Rule of 3. Writer Warren Ellis has more on the Rule of 3 on the Castlevania blog.